Blog | What is a Downhole Cable Splice? What is a Downhole Cable Splice? A control line splice is a means of connecting two separate cables providing a continuous electrical connection. The splice is sealed against the environment in an outer metallic body and is mechanically joined to both ends of the gauge cable providing a metal to metal seal. 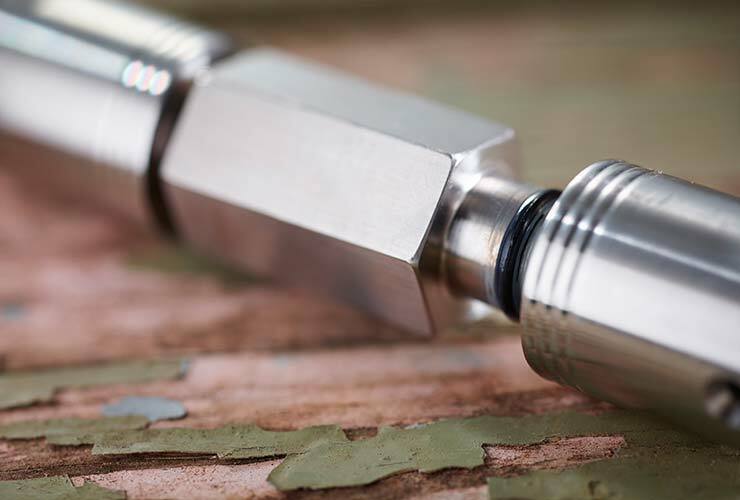 It is necessary that the connection is reliable, corrosion resistant and suitable to be used for long periods of time. If a splice has metal to metal seals, then the lifespan will tend to be much longer than a splice that uses elastomeric seals. Critically, a splice should have the means to be pressure tested as part of wellsite testing and checks. Splices are commonly used at the wellsite to extend existing cable, to replace sections of damaged cable or to connect to equipment mid line. They are simple to make up and a reliable solution. A control line splice can come in different sizes and materials to suit different cable specifications. It is important that the material of the downhole cable, usually SS316 stainless steel or Inconel 825 is matched with the ferrules in the metal to metal seal to prevent any galvanic effects. It is important that the pressure and temperature ratings are suitable for the wellsite environment. You also need to match the electrical specification of the splice to ensure the equipment you are running is compatible. Splices can be used to connect hydraulic, fibre and electrical cables.